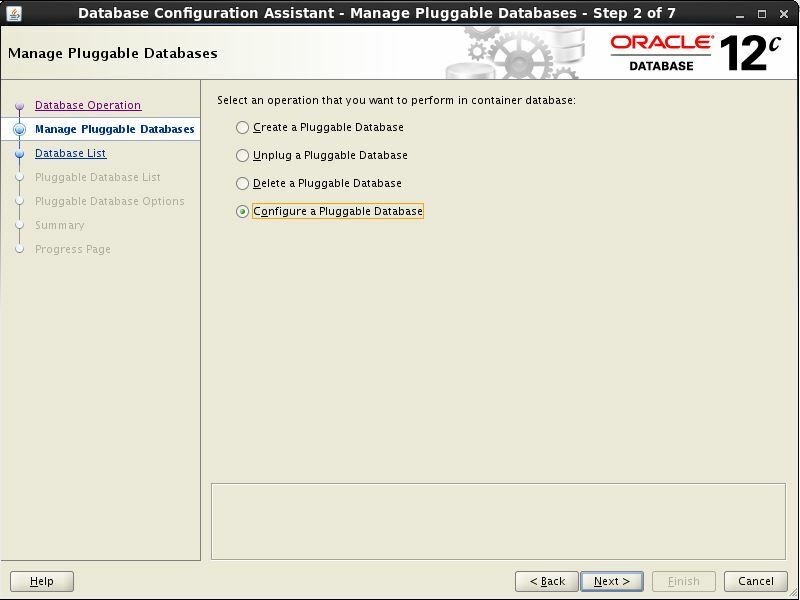 When you launch DBCA, you will see a new option “Manage Pluggable Databases”, as shown below. The new Manage Pluggable databases option can be used to manage the PDBs inside the different CDBs. The following sections demonstrate the different options available in DBCA, with respect to PDB management. 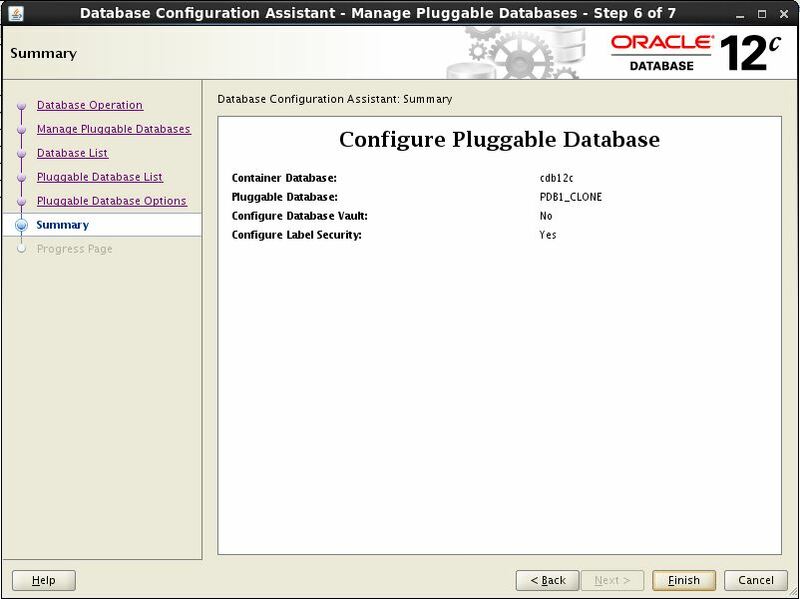 You can create a new PDB by clicking Next once the Manage Pluggable Databases option is selected in the DBCA. 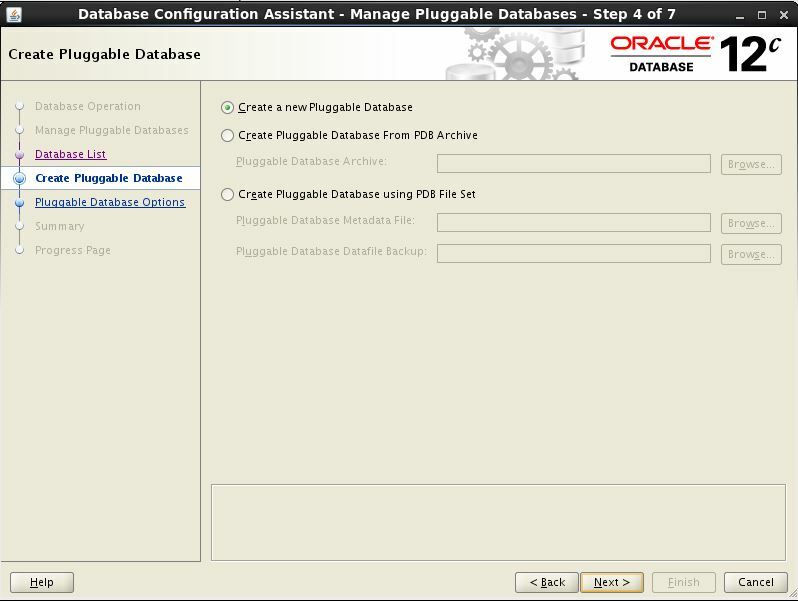 The following screens will guide you through the process of creating a new PDB database. Choose the Create option and click Next. 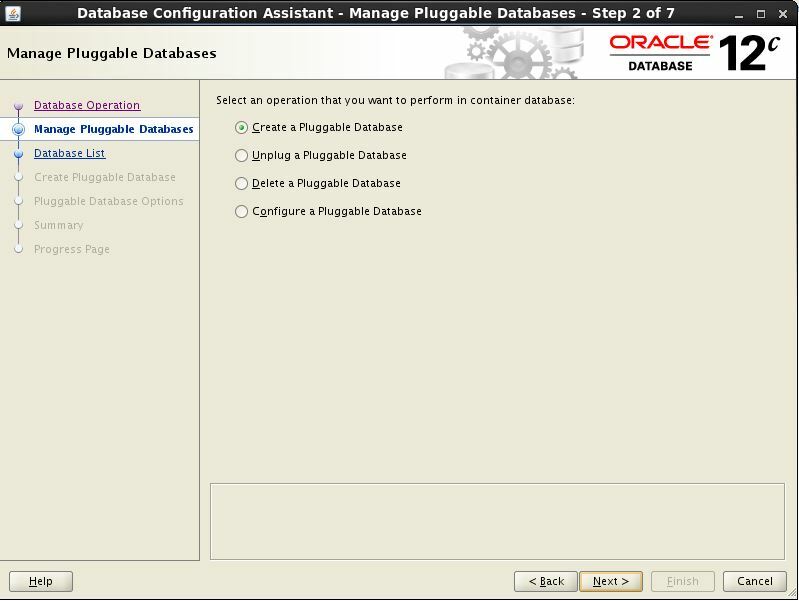 Choose the CDB container for which the new PDB database should be part of. You will also have to provide the SYSDBA credentials for the CDB chosen. Then click on Next. 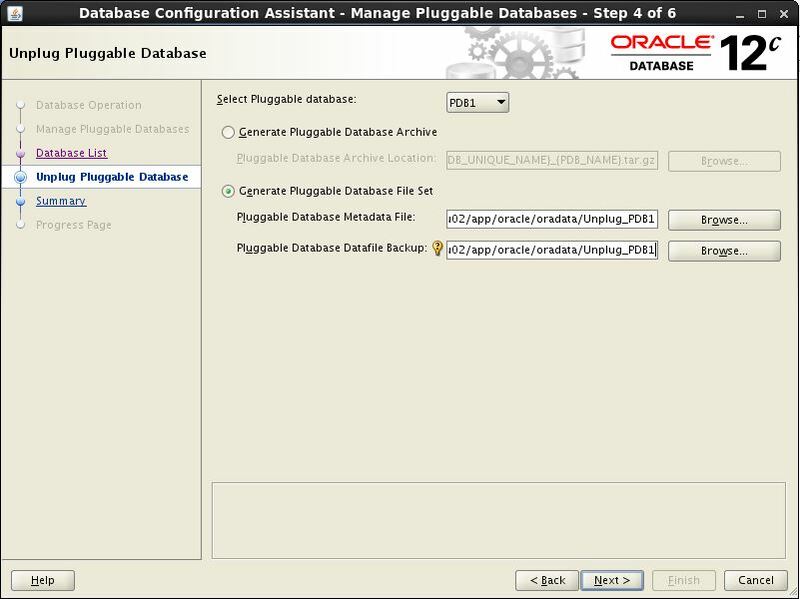 You can create a new database from scratch or you can create a database as a clone of some other PDB, for which you either have an archive or you unplugged earlier. So effectively, this option allows you to clone a PDB. 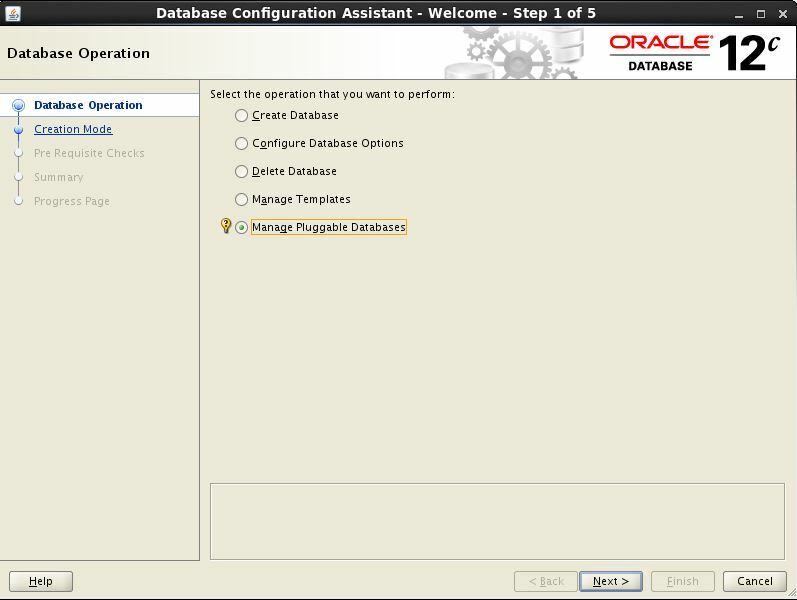 We will create a new database. Click on Next. 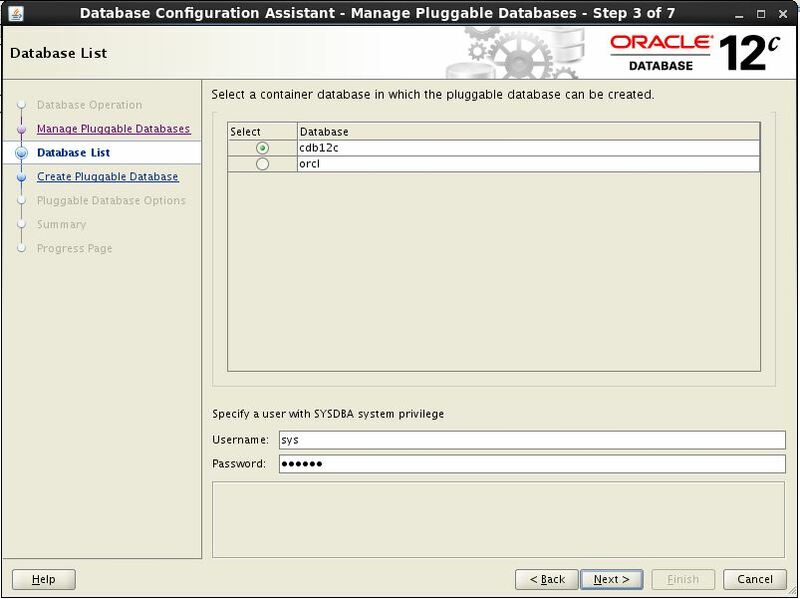 Specify the name of the PDB database, the file location and the admin username and password for it. You can also optionally configure the Vault and Label security if you want to. Click Next. Review the summary screen and Click Finish once you are OK with it. The new PDB has been created. 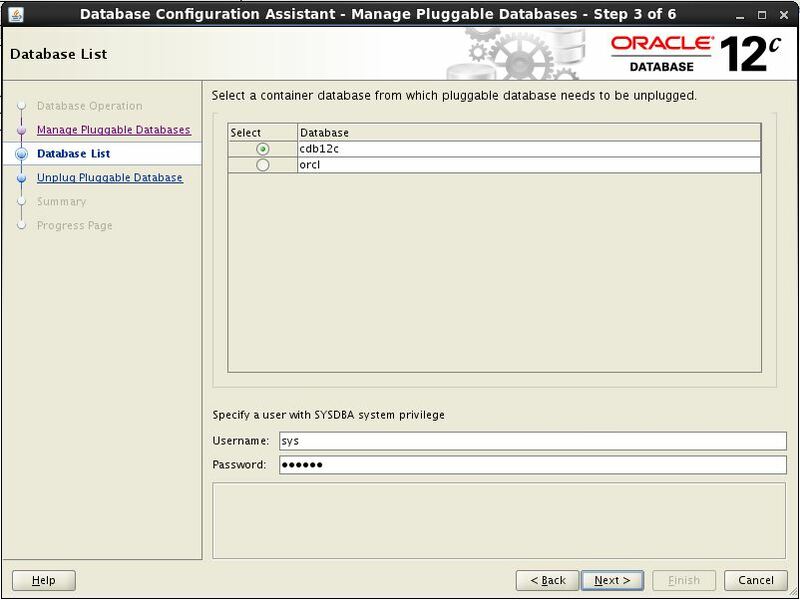 The DBCA can also be used to unplug a PDB from a CDB container. 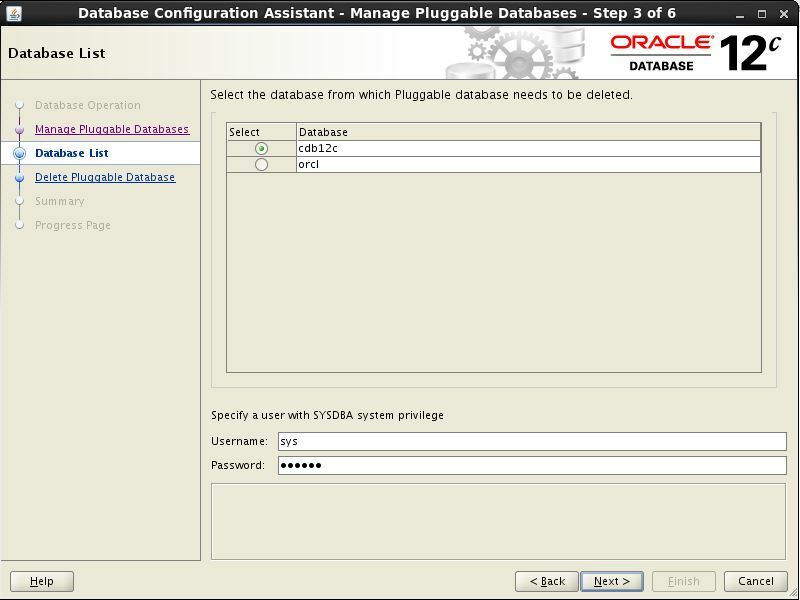 This is required if you want to migrate the PDB database from the current CDB container to some other or you want to clone it. 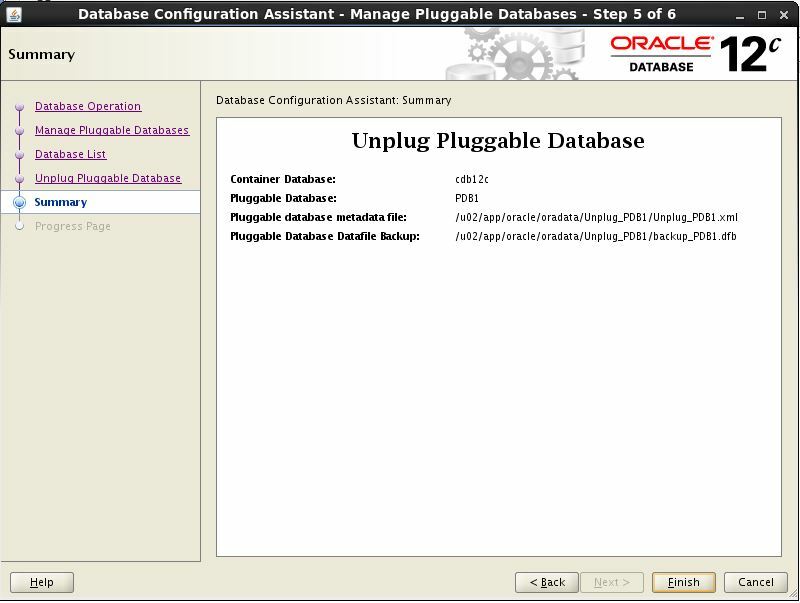 Select the “Unplug a database” option and then click on Next. Select the CDB of which the PDB is currently part of. 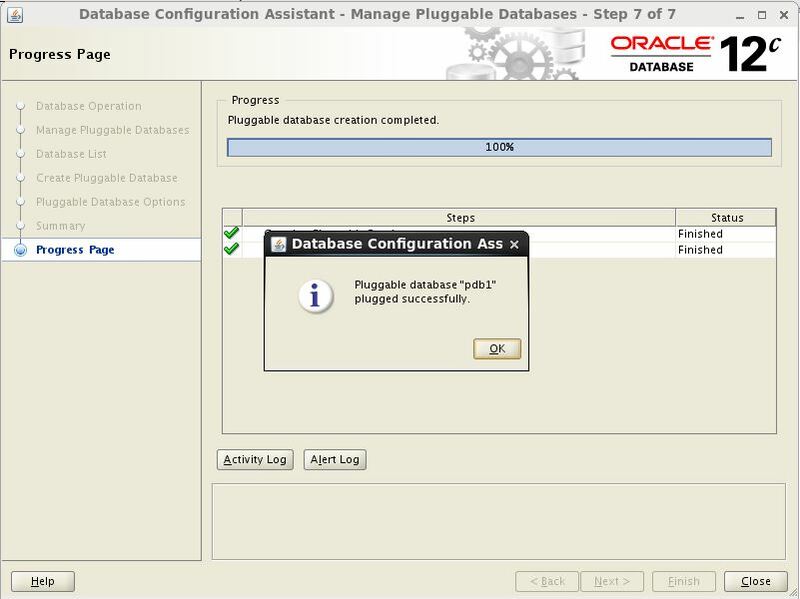 Provide the SYSDBA credentials and click on Next. Select the PDB that you want to unplug. 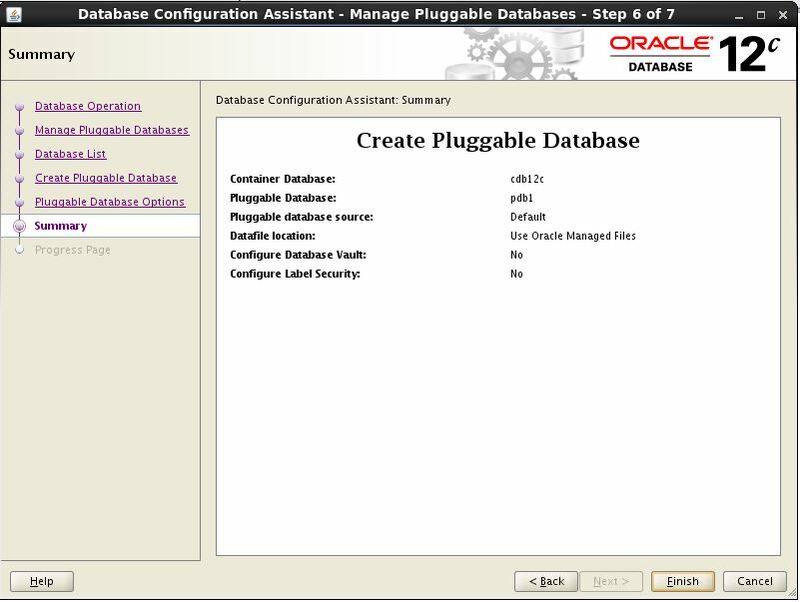 You can generate an archive of the PDB or you can generate an XML manifest file along with the database backup. Both will ensure that PDB can be attached later on. Provide the location where you want to store these files. Click on Next. Review the summary screen and Click on Finish to start the unplugging process. The PDB has been unplugged and as a result would have been deleted from its current CDB. 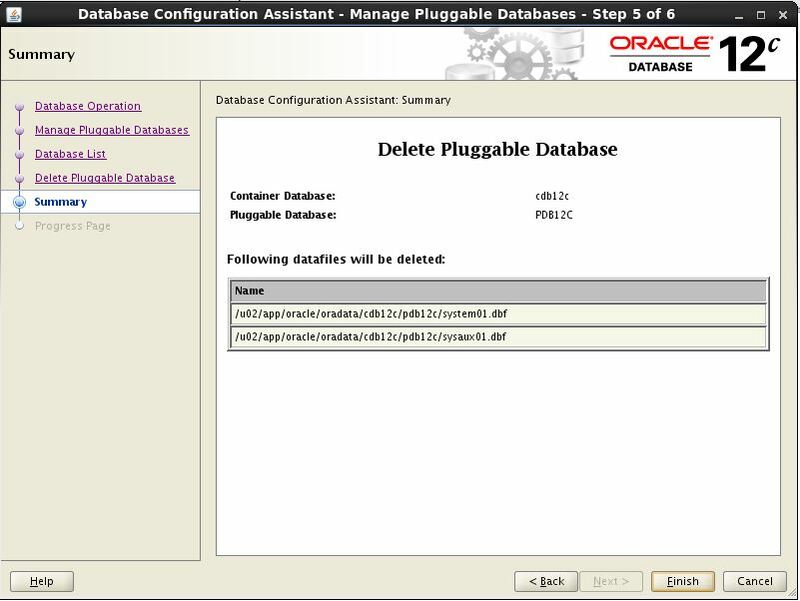 You can delete a PDB as well using the DBCA. The following screens will show you how. Select the delete option and click on Next. Select the CDB of which the target PDB is part of. 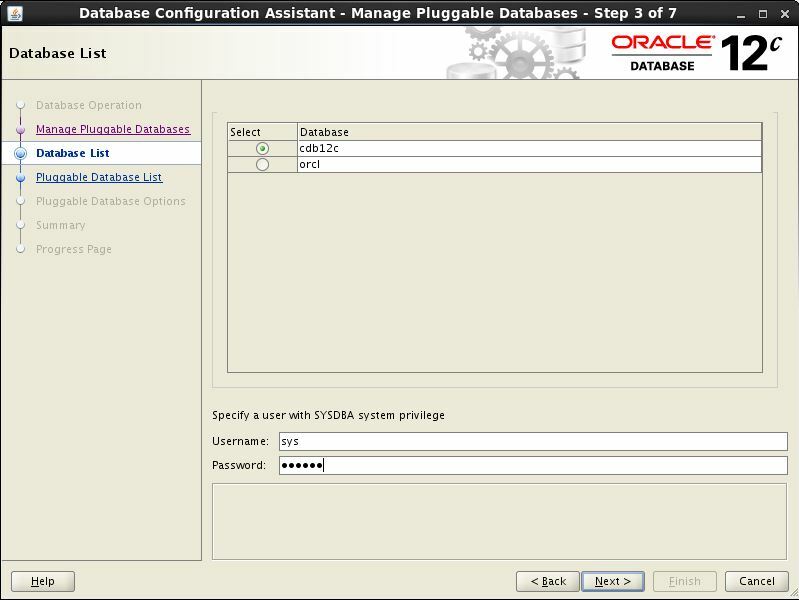 Provide the SYS username and password and then click on Next. Select the PDB that you wish to remove. Click on Next. Review the details and click on on Finish, to start the removal process. The selected PDB has been successfully deleted. 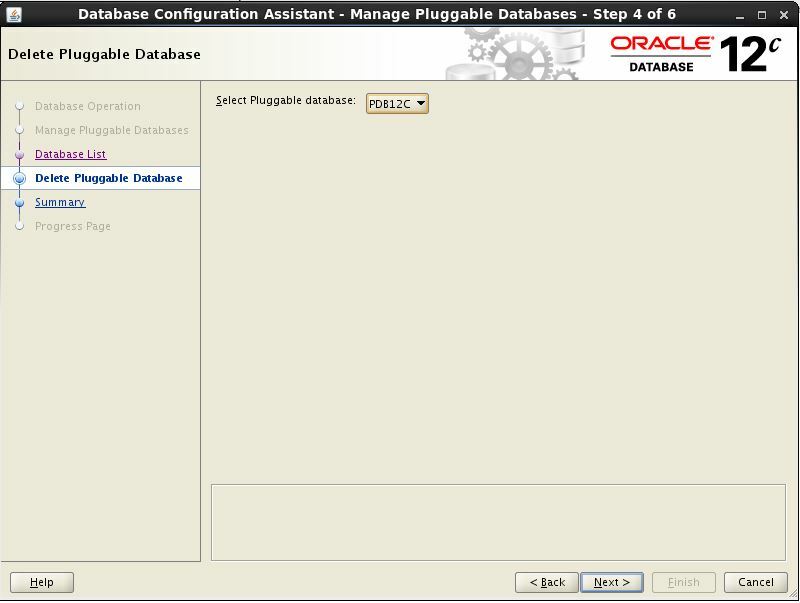 The last option is to configure your already existing PDB. Choose the last option and then click on Next. Choose the CDB container which contains your PDB. 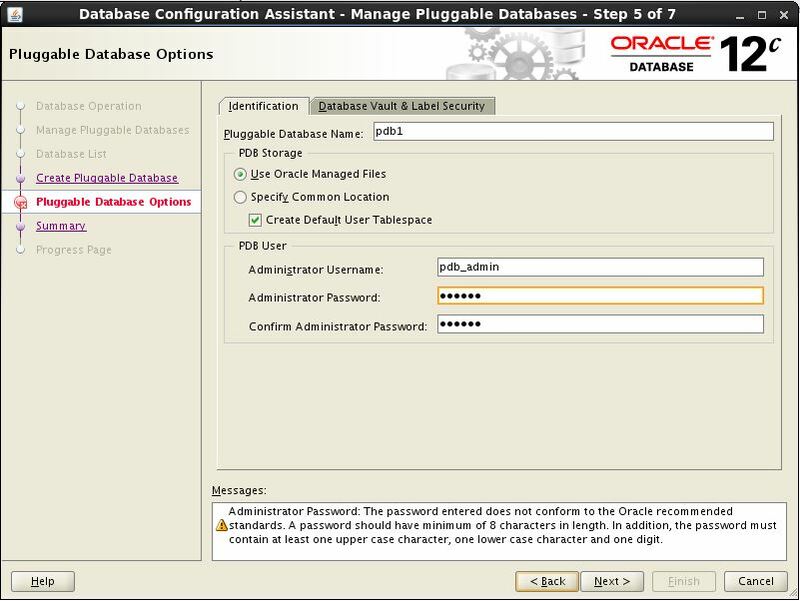 Provide the SYS username and password and click on Next. 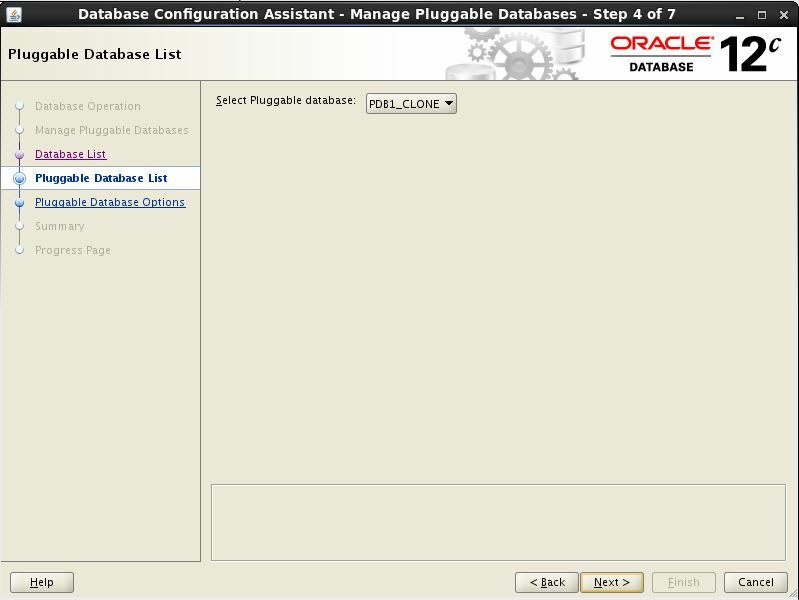 Choose the PDB that you want to configure. Then click on Next. 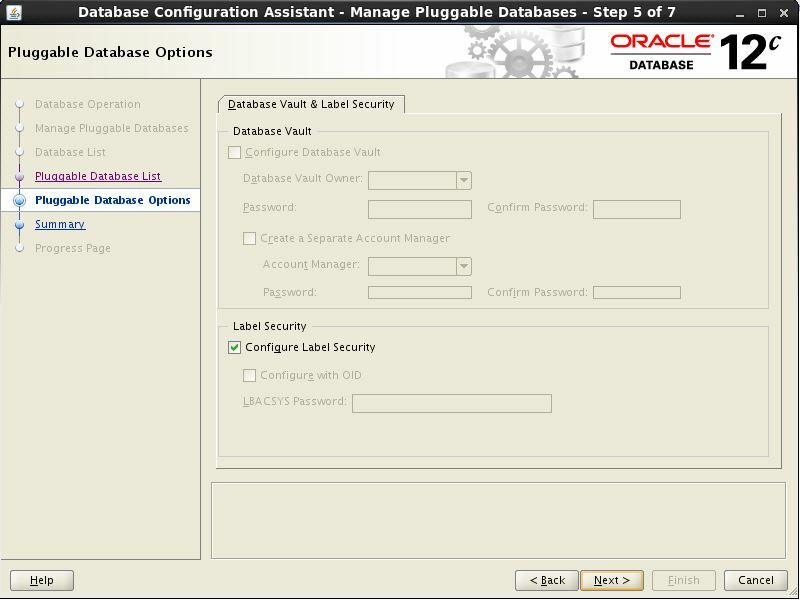 You can configure the Label security and/or database Vault. Choose the desired option and click on Next. 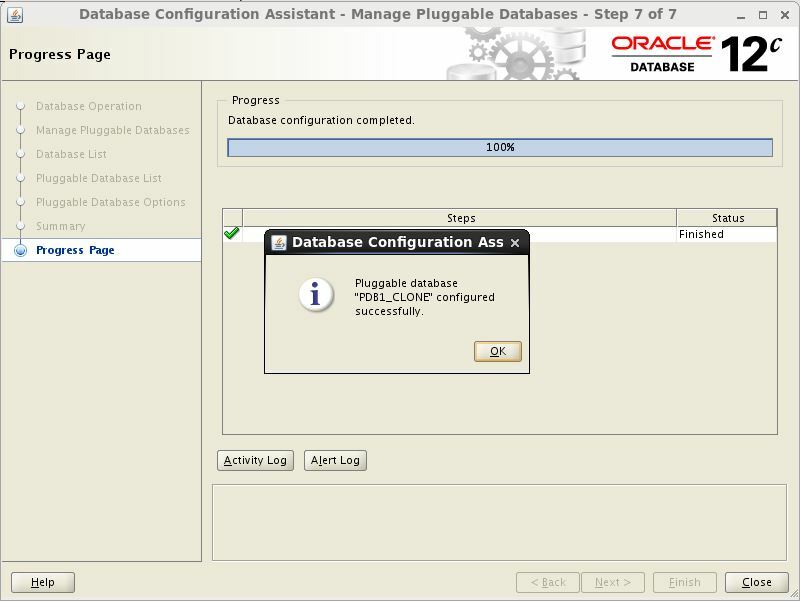 Review the summary screen and click “Finish”, to start the configuration process. 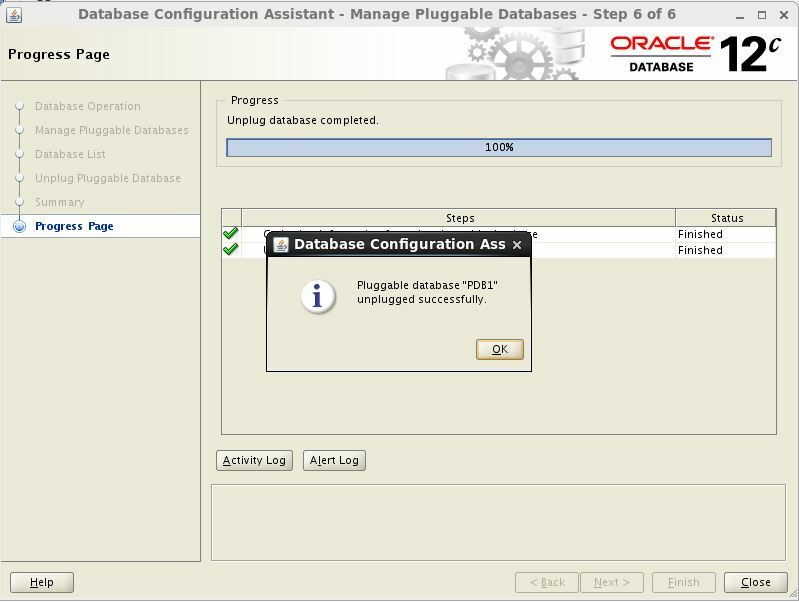 Click OK once and the configuration is completed!